I have been having a few issues sleeping lately, I just can't seem to switch off at night and most of the time my anxiety takes over. 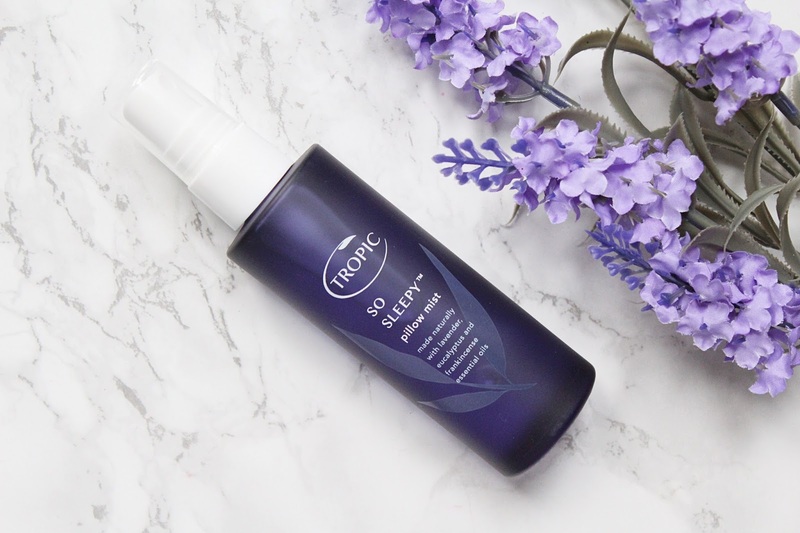 I have found that pillow mists have been really making a difference at bedtime so I couldn't wait to try out a new one from one of my favourite brands I have tried out this year, Tropic. The So Sleepy Pillow Mist has a blend of seven calming, sleep-inducing essential oils to help ease the mind and help you drift off into a sleep and restful nights sleep. This has the essential oils of Lavender, Rosemary, Chamomile, Frankincense, Rosewood, Eucalyptus and Rose Geranium while being alcohol-free. I really love the scent of this pillow mist compared to other ones I have tried as it has a fresher element to it and I really prefer this. 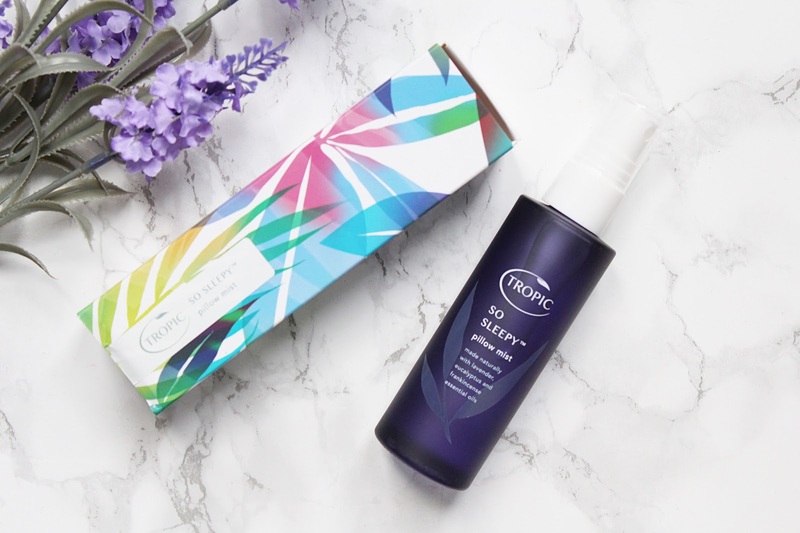 The packaging is very luxurious with a glass purple bottle, I always love the packaging of Tropic products. This is a 70ml size so if you did want to travel with this it isn't going to take up much space or weight in your luggage. This is so quick and easy to use, all you have to do is spritz 2-3 pumps onto your pillow and you are ready for sleep! I do have another pillow mist that I had been using and enjoying but I do think that I prefer this one as the scent is much more authentic and I find it to have better effects on me. Anything lavender scented makes me super sleepy but this can get me to sleep within a few minutes. I spritz this onto my pillow, get into bed and pop a podcast on (I can't fall asleep in silence) and I set the timer on it for five minutes and then my phone will stop playing it and go into bedside mode and every night I am asleep before it ends which is amazing! I have found that I sleep through the night too and before I started using this I would wake up far too many times through the night. One thing that I do love about Tropic products and that is a massive reason why I love their products so much is that they are a vegan based company cruelty-free. This product is also made in Britain too which I love! The So Sleepy Pillow Mist retails for £20 - HERE.